We are a laid back surf camp in South Lombok just a few minutes away from the small village of Kuta Lombok with its restaurants, shops and bars. 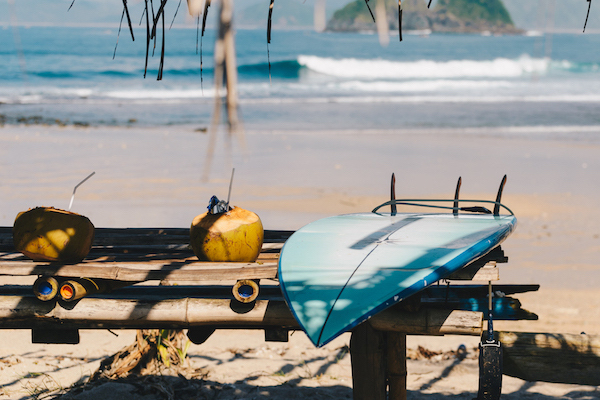 Our camp is surrounded by coconut and banana trees and is just a hop away from some of the best surf spots on Lombok like Seger Beach, Gerupuk Bay and Tanjung Aan. Whether you will stand as a beginner for the first time on a surfboard or already cruise down the waves, we will find the best spots for you! We specialize on providing surf packages that meet the needs of surfers of all levels and our experienced guides will help you to improve your surf skills individually while our friendly on-land crew will make sure that your time at Drop In surfcamp and in Kuta Lombok will be every bit as relaxing as the surfing is fun! Are you a good intermediate to advanced surfer but do you feel sometimes like you don't make any progress anymore? Do you want to unlock your full surfing potential? Flightnetwork's best Surfspots in Asia!